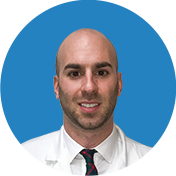 The SLAP Tear is a specific shoulder condition that is commonly caused by a direct fall on an outstretched arm or on the shoulder, repetitive overhead motions that place an immense pressure on the shoulder, or repetitive motions that include lifting heavy objects. 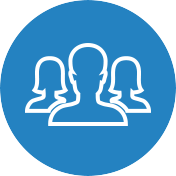 Once the labrum tear occurs, the shoulder significantly weakens and becomes prone to developing additional shoulder conditions. 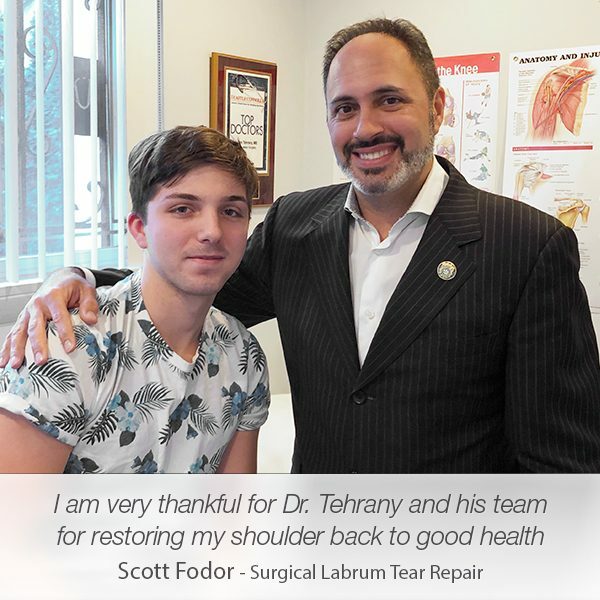 Commonly, people who suffer a labrum tear also suffer a rotator cuff tear, and that is the main reason why patients experience a difficulty pointing to the exact location of the pain in the shoulder. 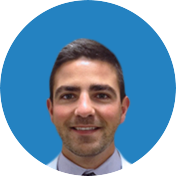 When Chris visited Manhattan Orthopedic Care, he had a hard time describing the pain in his shoulder. 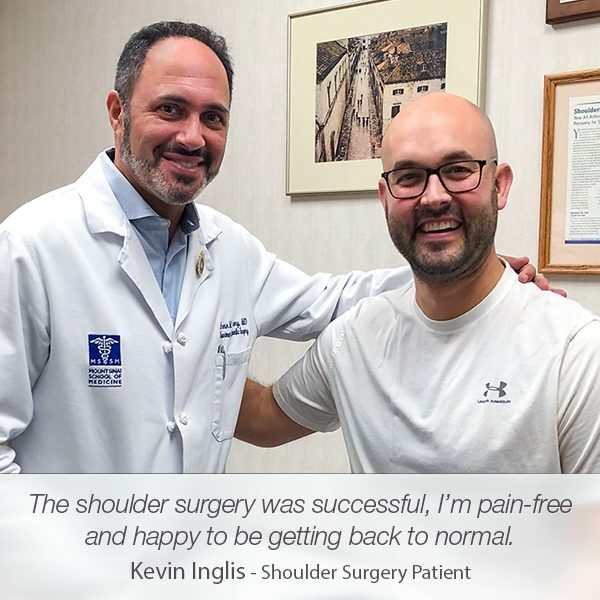 As an experienced shoulder doctor with an impressive record of successful patient stories, Dr. Armin Tehrany knew exactly what to look for in Chris’ shoulder. 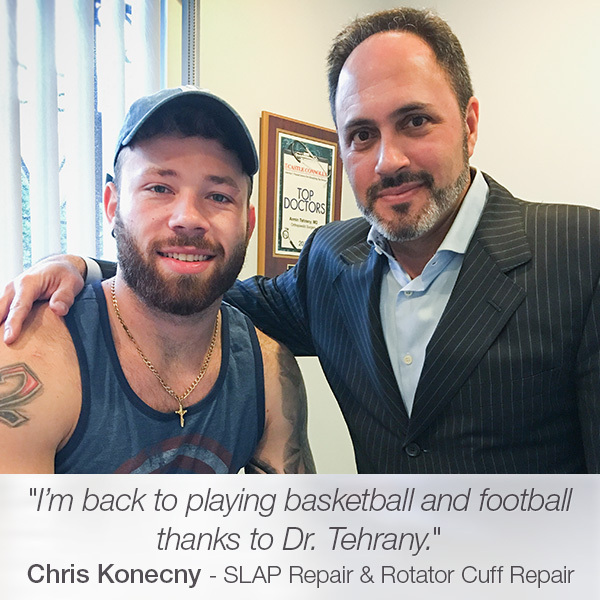 The agonizing pain, the popping and clicking sounds, the joint imbalance and the crackling sensation while moving the arm were apparent indicators to Dr. Tehrany that Chris suffered both slap and rotator cuff tear. 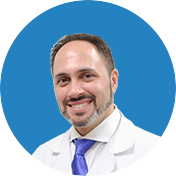 Understanding how stressful the entire surgical experience is, Dr. Tehrany took enough time to describe the surgical process step-by-step going into every detail with a purpose to ensure that Chris felt comfortable and confident with Dr. Tehrany’s procedure. As expected, the surgery was successful and the recovery period had a flawless pace. Now, a year after his SLAP tear repair and rotator cuff repair, Chris is back to his active lifestyle, enjoying his favorite sports activity. 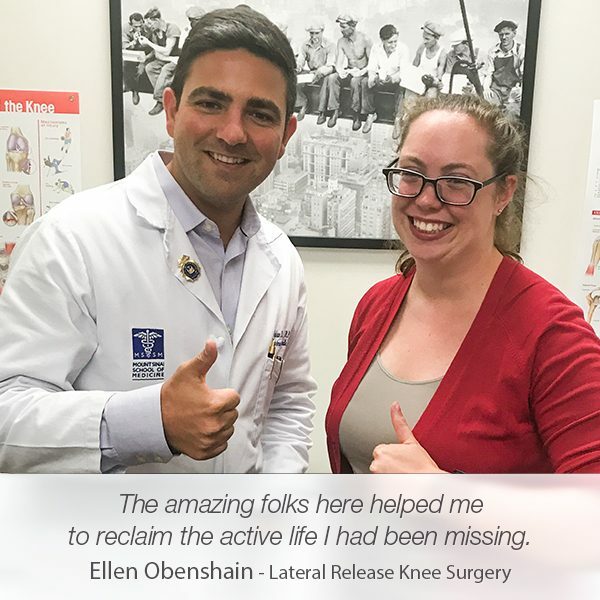 Dr. Tehrany and his staff are the best. Can’t say enough about the doctor. To me, he is number one in what he does and the best bed-side manners. He also operated on my mom and dad. 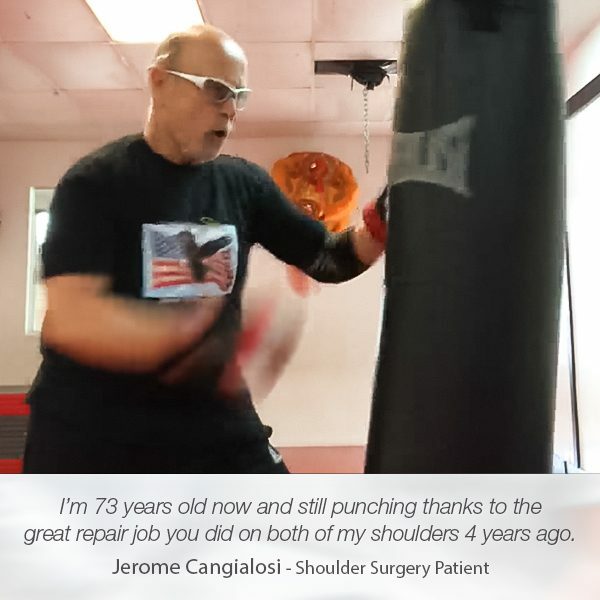 We can’t say enough about him and how he took care of my rotator cuff. I’m back to playing basketball and football thanks to Dr. Tehrany.